You don't have to light with colors, white is also a great choice and provides extra illumination where there isn't enough. 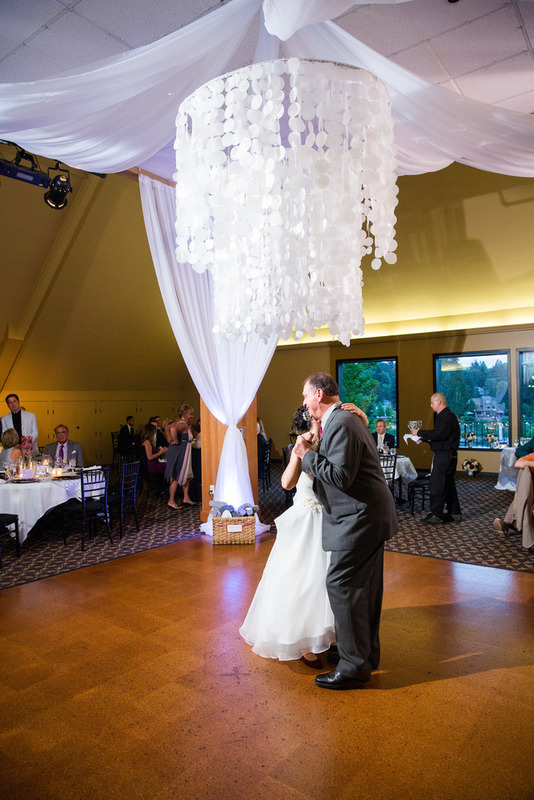 These photos were sent in by a rental client from a wedding at The Foundry at Lake Oswego in Lake Oswego, Oregon. They rented 4 of our wireless uplights and placed one on each corner of their dance floor and set them to "C7". 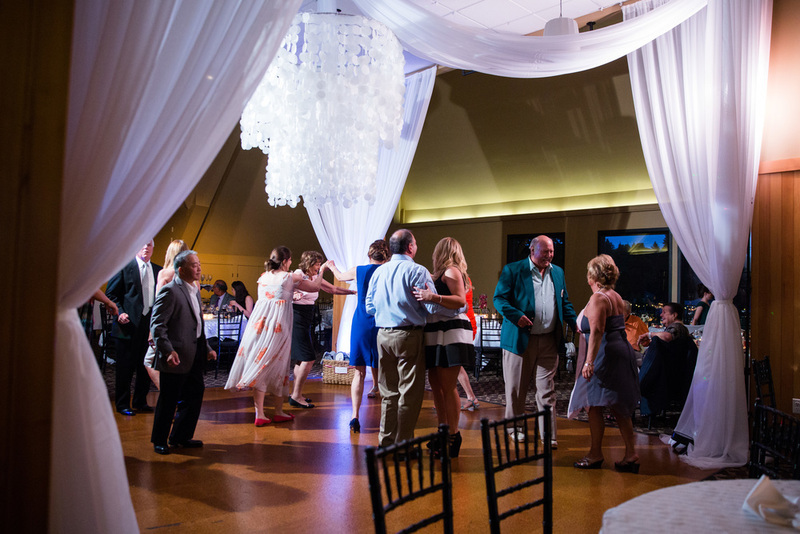 Very elegant way to highlight the dance floor! 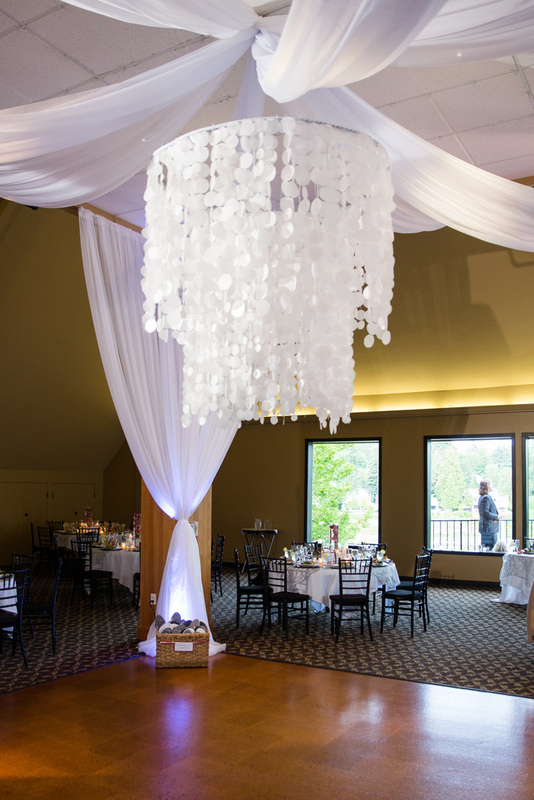 Wireless uplighting provides the most flexibility in setting up because you don't need to worry about running cables everywhere which is nice. The downside is they all need to be charged in advance (which does require plugging them in). Recommendation: Rent at least 1 extra in case there are any technical difficulties or a battery runs out of juice early. You will find a place to use it somewhere - more is always better than not enough!